With the surge in popularity of blockchain and cryptocurrencies, hundreds of events and conferences are being organized around the world to sensitize top executives and decision makers on the potential of these technologies. 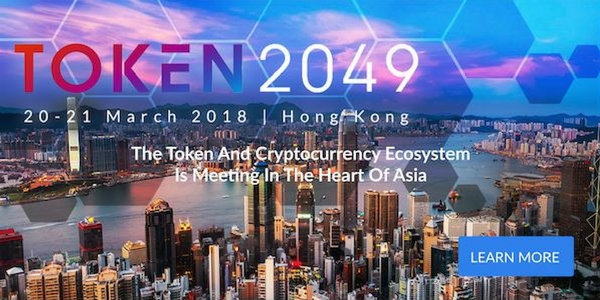 Token2049 promises to be the largest digital asset event in Asia where experts explore in-depth the growing crypto ecosystem. The event will shine a light on the global developments of this new asset class, while taking a unique and widening perspective on the token industry and its opportunities in Asia. The event will feature the pioneers, the early believers, highly influential and established opinion leaders, who will share their knowledge and stories, providing exceptional insights into the ever-larger growing crypto ecosystem. They will be joined by global media, thought-leaders, regulators and hundreds of participants for two productive and insightful networking days. With an equal mix of industry practitioners, associations, regulators and technology experts, Blockchain & Smart Contracts For BFSI 2018 intends to be an one-stop guide to help participants move from the theory of blockchain to commercial applications and value adding outcomes, understand the regulatory landscape of blockchain, and maximize the possibilities – what are they and how you can get there. 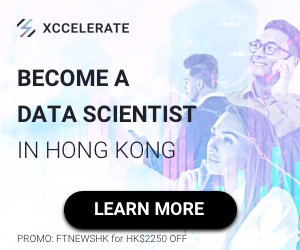 Register now and get 10% off with our code: “FINTECH10”. Organized by event management company Smile-Expo, the second edition of the Blockchain & Bitcoin Conference Tallinn will focus on Estonian and foreign projects implementing blockchain and cryptocurrencies. Experts will share their experience of implementing blockchain in governmental institutions (Govtech), banking system, trading, media, healthcare and other spheres. They will discuss all the aspects of creating innovative IT products – from the emergence of idea to entering the market. Other regional Blockchain & Bitcoin Conferences planned this year include the Tel Aviv edition on March 28, Kyiv on March 29, Berlin on April 04, Moscow on April 17 and 18, Prague on April 18, Helsinki on May 25, Sydney on May 29, and London on June 06 and 07. 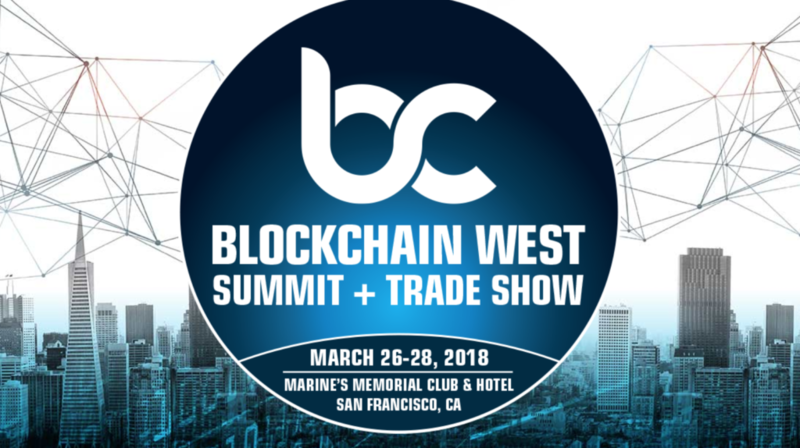 The Blockchain West Summit + Trade Show will take place in California in March and will explore the use of blockchain technology in a diverse range of verticals including government, defence, energy, real estate, banking, insurance, supply chain and much more. Speakers will include academics and top executives from Hyperledger, IBM, T-Mobile, Sweetbridge Alliance, Blockchain Research Institute, Stellar Development Foundation, as well as government officials from the state of Washington, among others. The Crypto Summit 2018 will bring together global influences, policy makers, investors and entrepreneurs to lead an open dialog and shape the future of cryptocurrency and blockchain technology. Confirmed speakers include founders and top executives representing companies and organizations like Civic.com, Tezos, the Bitcoin Foundation, and Polychain Capital, among others. Last year’s hugely successful conference was sold out weeks in advance, and featured key people in the crypto space who came from 30 different countries to share their experience. Over 2,500 people attended the event. Now in 2018, with an extended two track agenda, Crypto Summit is set to be even bigger and better. 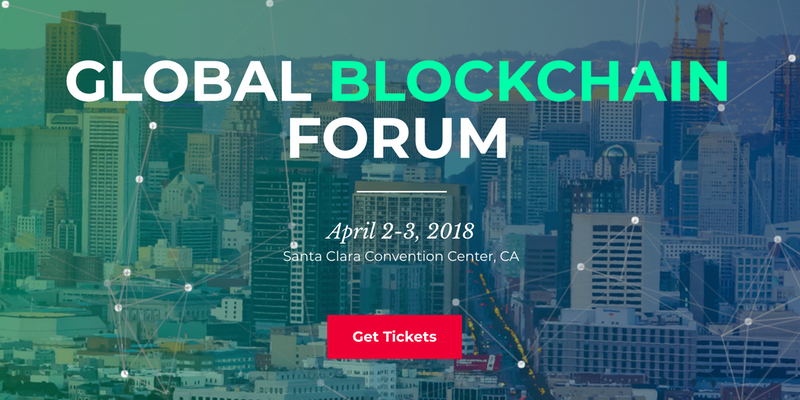 The inaugural Global Blockchain Forum will be held on April 02 and 03, at the Santa Clara Convention Center in Silicon Valley. The event will feature panel discussions, networking sessions, a hackathon contest and a VIP party, and will bring together some of the most recognized leaders of the blockchain community. The line-up of speakers includes keynotes by John McAfee, a cybersecurity legend and the co-founder of McAfee Associates; Tim Draper, a world-famous venture capitalist and the founder of Draper Associates; Michael Arrington, the founder of TechCrunch and XRP Capital; and features other leaders from the blockchain ecosystem who will talk about best investment strategies and tactics; ICO legal aspects, Internet Of Things, and many more topics. 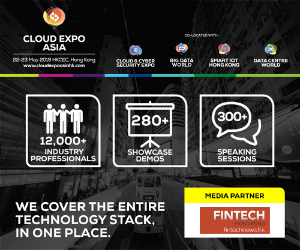 Over 2,000 people are expected to attend and 50 speakers from well-recognized companies and organizations such as Bitpay, Civic, Linkedin, Evercoin, Doc.ai, Singularity University and more. Prices range from early bird US$399 tickets to VIP for US$1,999. 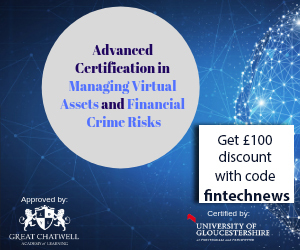 Secure your ticket now and get 15% off with our exclusive code: “Fintechnews15”. Organized by Keynote Events, the two-day long World Blockchain Forum: Investments & ICOs conference will delve into the innovative possibilities of blockchain and disruptive technologies, provide an introduction to ICOs and look at the transformative impact of cryptocurrencies on the global financial landscape. 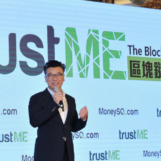 The event will feature over 40 speakers, more than 350 CEOs, senior executives, investors and government officials, and five networking events. The conference will cover the crypto economy, crypto assets, artificial intelligence, blockchain and financial inclusion, cybersecurity, and many other topics. 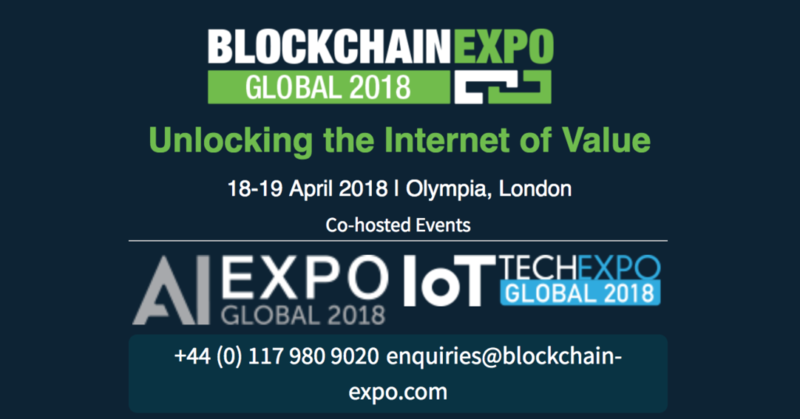 Blockchain Expo, one of the leading global blockchain for business event, will be arriving at London’s Olympia on 18-19 April 2018, bringing together industry leaders. Blockchain Expo Global 2018 is expected to attract over 6,000 dedicated blockchain delegates over the two days. 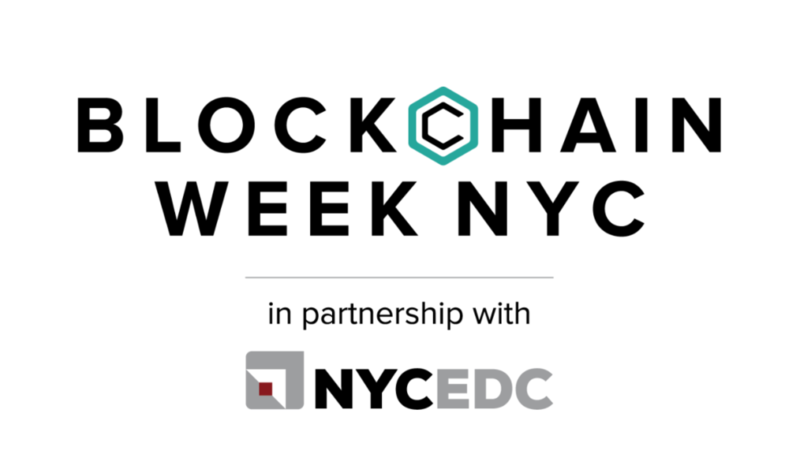 The event will feature keynotes, interactive panel discussions and solution-based case studies with a focus on learning and building partnerships in the emerging blockchain space. It will explore the use of blockchain in the areas of healthcare, supply chain and food traceability to energy, logistics, manufacturing retail, real estate, and more. Ethereal Summit on May 11 and 12, will bring together builders, philosophers, policymakers, artists, and humanitarians from around the world to discuss blockchain technology and the decentralized future. The event is organized by ConsenSys. Consensus 2018, the fourth annual blockchain technology summit by CoinDesk, will take place in New York from May 14 to 16. The event will feature 250+ speakers and 4,000+ attendees from the leading industry startups, investors, financial institutions, enterprise tech leaders, and academic and policy groups who are building the foundations of the blockchain and digital currency economy. Coin Center Annual Dinner, on May 14 at the Plaza Hotel, is organized by the non-profit research and advocacy center. Token Summit III New York 2018, organized on May 17, will explore in-depth the token-based economy. Blockchain Workshop Geared for Women, on May 17 and 18, will be designed for executives and those seeking to shift careers. The two-day workshop will focus on teaching participants about blockchain technology including code, cryptocurrencies, tokens and cryptoeconomics. BlockShow Europe, by Cointelegraph, is one of the major international platforms for showcasing innovative blockchain solutions and revealing the current hottest industry trends. This year, the event will bring together the global blockchain community to discuss exciting projects and ICOs, and discover new products and solutions. The conference will take place in Berlin and is expected to attract over 3,000 guests, 120+ partners, and over 70 globally recognized speakers. Use our special promo code “30FINTECHNEWS” to get 30% off the ticket price. The Unchain: Bitcoin & Blockchain Convention is a two-day event focusing on cryptocurrency and blockchain. It will feature more than 20 notable experts and entrepreneurs representing companies and organizations such as RSK Labs, ShapeShift, Colu and Bitwala. Topics covered will include technology and development, business opportunities, real world examples and showcases, cryptocurrencies and investment, and the impacts of legislation, politics and society on the space. 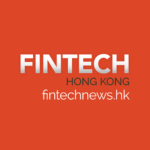 Blockchain For Finance Conference APAC 2018 will examine the latest finance use cases of distributed ledger technology and blockchain technology. The conference will cover how a range of financial institutions see distributed ledger technologies fitting into their wider digital strategy , and will explore the benefits of blockchain in payments, KYC, insurance, bond issuance, trade finance, and capital markets, the regulatory landscape surrounding blockchain technology, the importance of ensuring interoperability between blockchain solutions and legacy technologies to guarantee seamless adoption, business case studies, the emergence of ICOs, and more. Register now and get US$200 off with our promo code “FSG200”. The 3rd Annual Blockchain Conference Washington D.C. The Blockchain Conference is back in the Nation’s Capital for another great event exploring Blockchain/DLT Technology and ICOs.